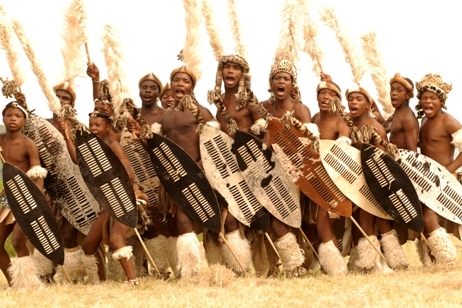 Most emblematic people of South Africa and probably the most known people of the continent, the Zulu form along with the Xhosa, the Ndebele and the Swazi the great Nguni people. The Nguni are native of Egypt according to Yale University. Afterwards they presumably settled in the great Congo basin/ Great Lakes region. 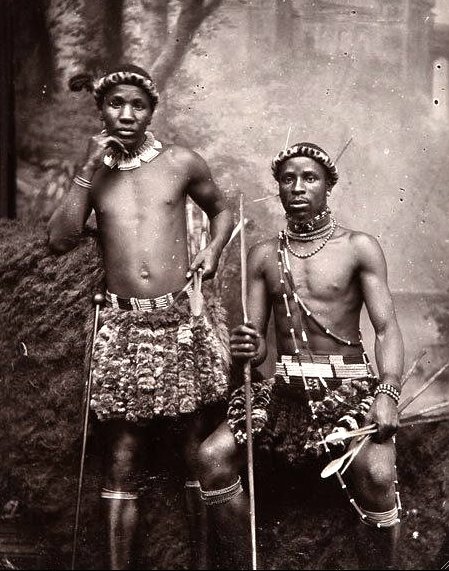 The Zulu left the Great Lakes in the 16th century and arrived massively in South Africa. Among the greatest Zulu leaders, we can cite Shaka kaSenzagakhona (Zulu), legendary chief but whose methods were particularly deadly. He created himself a kingdom in the southern Africa. 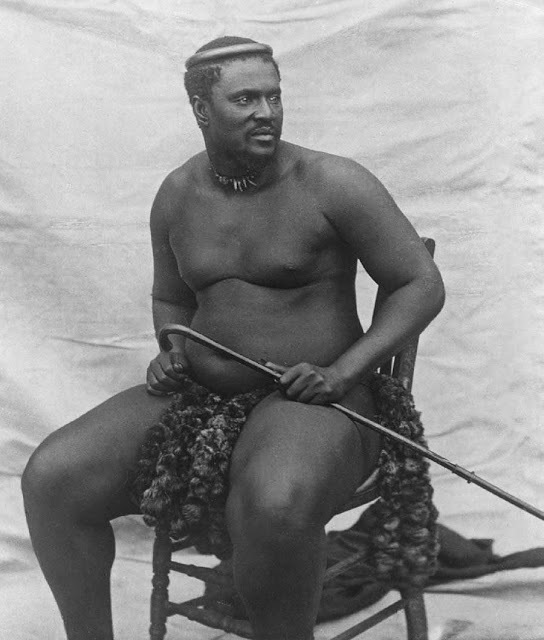 We can also cite chief Cetshwayo kaMpande, who fought admirably against the European colonial conquest. As we will see later on, the Zulu spirituality takes roots on the principles of the African spirituality. 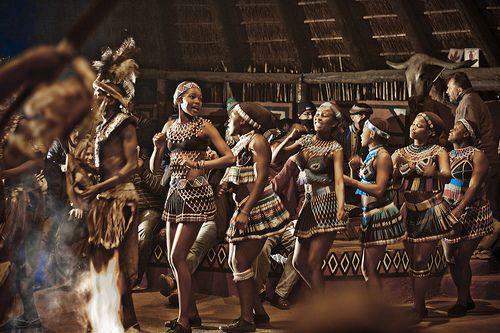 For the Zulu, everything was created by one Supreme Being, an original being, who goes by the name of Unkulunkulu. Unkulunkulu is the primordial Ancestor of the Zulu people, like Nyame is the primordial Ancestor of the Akan people, like Olorun is the primordial Ancestor of the Yoruba people, like Imana/Amen was the primordial Ancestor of the Egyptians and the Nubians. Unkulunkulu sprung out of one source called Uthlanga, the same way as Imana/Amen sprung out of the primordial waters in the beginning for the ancient Egyptians. These waters are called Nun in ancient Egyptian language, Nommo for the Dogon people of Mali. The Nun possessed at the origins all the germs which were going to form the creation. Uthlanga is the Zulu equivalent of the Nun. Uthlanga was in the beginning in the form of a cosmic egg. In the Fulani cosmogony, Geno (God) created a nine-section-egg in the begining, the same egg is called Aki Ngoss by the Fang people of central Africa. One of the germs in the source became aware of itself and is symbolized through an egg with a conscience, before taking the form of a spiral to organize the primordial waters. In the Egyptian spirituality, that spiral was called Debnen and is found in the Zulu and the Fulani spiritualities. It is abundantly found in the architecture decoration of the Asante in current Ghana and has inspired the house plans of the Kotoko of Cameroon. The primordial Ancestor has several principles and manages all the elements of life at the same time. When It manages agriculture and makes the seeds grow, It is the goddess Inkosazana in Zulu tradition and the god Usire (Osiris) in Egyptian tradition. When It incarnates itself in the river water, It is the goddess Mamlambo in the Zulu Tradition and god Hapi in the Egyptian. For Africans, the primordial Ancestor is a multi-facet diamond, whose each facet corresponds to a principle. These principles are called Ntjeru in ancient Egyptian, Orisha in Yoruba, Loa in the Haitian Vodun (Voodoo), Ayaanle in Somali. It was the misunderstanding of these principles that made a lot of people think Egyptians were polytheistic. For the Zulu, Unkulunkulu is everywhere, within every creation. In reality, for Kamits (Blacks), God is the Energy at the origin of the creation. 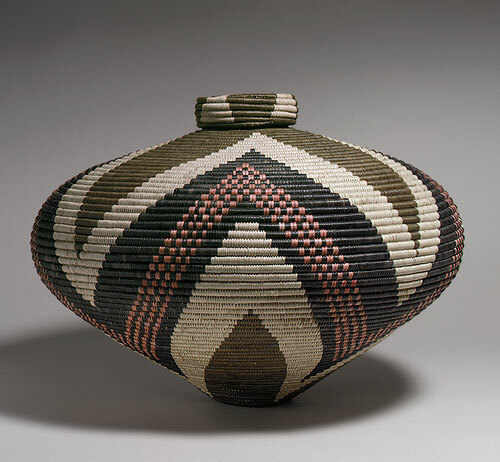 This energy or power called Si by the Bamileke of Cameroon, resides absolutely in every existing thing. This Energy came out of the cosmic egg which resided in the primoridal waters. Everything that lives does thanks to the energy given in the beginning. The Energy, with its spiral form, organized the primordial waters to create every being. This is why the Zulu, like all Africans, come into contact with the Energy through plants, animals, minerals. Communication with the dead ancestors, called amaDlozi in Zulu, is another pillar of this spirituality. 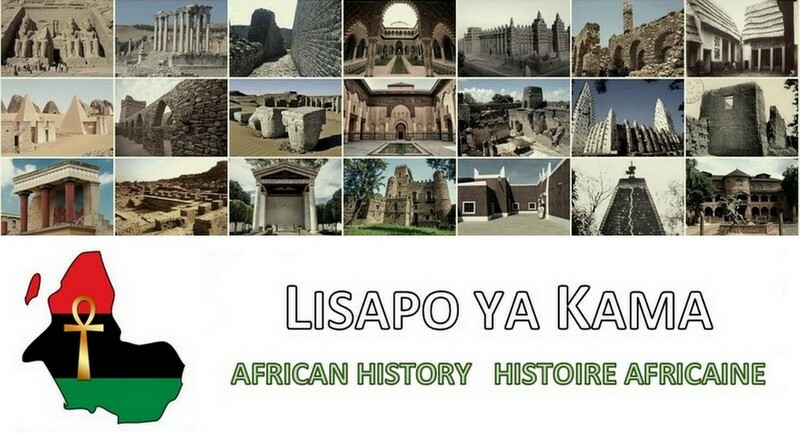 Ancestors are called Razana by the Malagasy, Paangol by the Serers of Senegal. They still possess the energy that was given to them at the conception. As the energy cannot die by physics principle unanimously recognized, the defunct perishes through his body but becomes then divine through his immortal energy. He-She serves therefore as intermediary between the primordial Ancestor and the living. 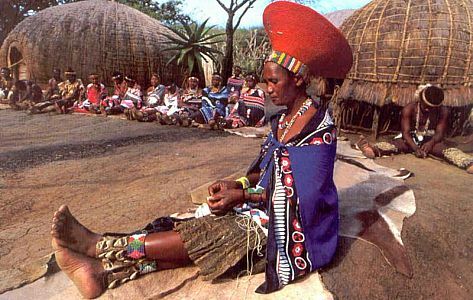 The rites made to get in touch with the amaDlozi are directed by women. In Africa, God is female and male at the same time. The African spirituality grants this way – unlike the so-called revealed religions and Buddhism – the equality between men and women in the exercise of priesthood. The same way, we find a lot of Mambo women; it is to say priestesses in the Voodoo. There was also a great priestess in Carthage, what confirms Carthaginians were Blacks. The Zulu spirituality shares then all the African religion founding principles, it is to say a multi-facet primordial Ancestor, expressed by Its energy and living in everything; the dead ancestors who serve as intermediary between the primordial ancestor and the living and the equality between women and men in the practice of religion.